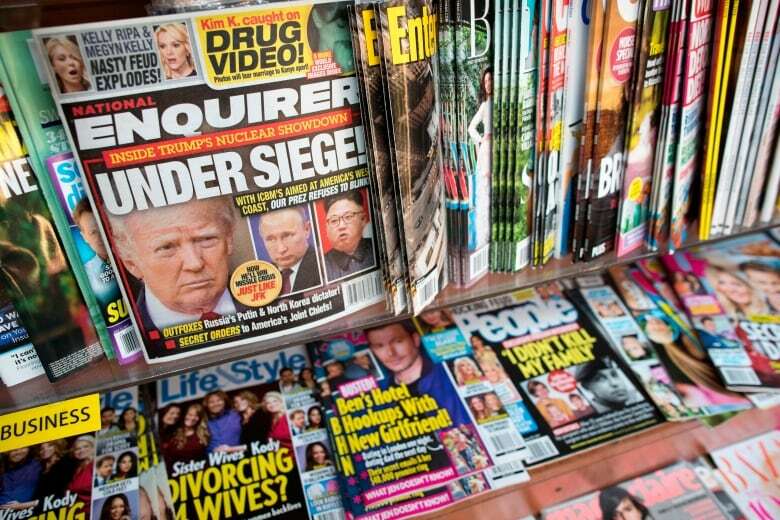 The publisher of the National Enquirer said Friday it will look into claims of extortion and blackmail made by Amazon CEO Jeff Bezos, who said the tabloid threatened to publish intimate photos of him unless he stopped investigating how the Enquirer obtained his private communication with his mistress. The company’s statement is the latest twist in a high-profile clash between the world’s richest man and the leader of America’s best-known tabloid, who is a strong backer of U.S. President Donald Trump. Bezos’s investigators have suggested the Enquirer’s coverage of his extramarital affair — which included the release of explicit text messages — was driven by dirty politics. The company has admitted in the past that it engaged in what’s known as “catch-and-kill” practices to help suppress negative stories that could have hurt Trump’s candidacy for president. Trump has been highly critical of Bezos and the Post’s coverage of the White House. “Of course, I don’t want personal photos published, but I also won’t participate in their well-known practice of blackmail, political favours, political attacks, and corruption,” Bezos wrote of AMI, in explaining his decision to go public. The Bezos affair became public when the Enquirer published a Jan. 9 story about his relationship with Lauren Sanchez, a former TV anchor who is married. Bezos then hired a team of private investigators to find out how the tabloid got the texts and photos the two exchanged. Bezos’s personal investigators, led by his longtime security consultant, Gavin de Becker, concluded that Bezos’s phone wasn’t hacked. Instead, they’ve been focusing on Sanchez’s brother, according to a person familiar with the matter. Several days ago, someone at AMI told Bezos’s team that the company’s CEO, David Pecker, was “apoplectic” about the investigation, Bezos said. AMI later approached Bezos’s representatives with an offer. Bezos wrote that this week, the tabloid’s editor, Dylan Howard, emailed an attorney for de Becker to describe photos the Enquirer “obtained during our newsgathering.” The photos include a “below the belt selfie” of Bezos, photos of him in tight boxer briefs and wearing only a towel, and several revealing photos of Sanchez, according to the emails Bezos released.